Delgados is based in Penketh and provides exceptional Italian food in a family establishment where quality is everything ! From Pizza to Pasta for a treat or special occasion, we will ensure you have the best experience with Delgados! for the perfect family and friends dining experience, you have to visit Delgados Italian restaurant in Penketh. We thrive on creating a great atmosphere and provide quality food and service. Delgados Restaurant and Pizzeria use only the very best ingredients to ensure the standard and quality of our food remains outstanding for the customer ! We take great pride in offering the highest standards of quality and service and have created an authentic Italian menu using the finest ingredients and cooked in the traditional way. 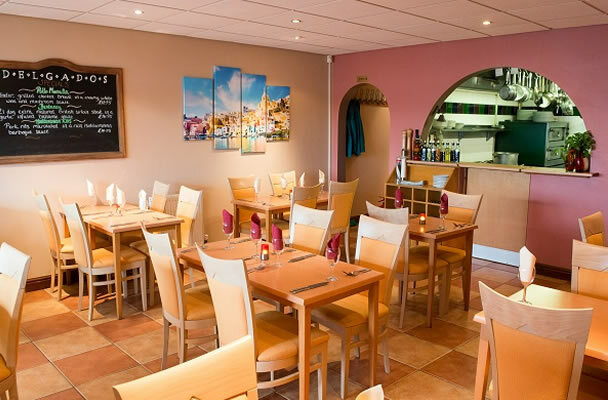 Delgados is a family run, Italian restaurant with a lively atmosphere, friendly staff and great food. Dishes are cooked to order to your specification. What better way than to spend an evening at Delgados Italian in Warrington. We endeavour to cater for the whole family from fussy eaters to connoisseurs if you, your family or loved ones have any special requirements, then get in touch with us so we can ensure you have an amazing time! We also offer private hire for all events weddings, birthdays, Christenings or anniversaries we can even design a menu around your requirements or even arrange an Italian buffet! Give us a call or drop us a message to reserve a table at Delgados Warrington. If you have something special or a request it is always best to call and speak to one of the team to avoid disappointment for your special occasion. If you are booking with children, please tell us within the notes section – how many adults and how many children will be joining you (this will avoid upset if the make your own pizza is required.